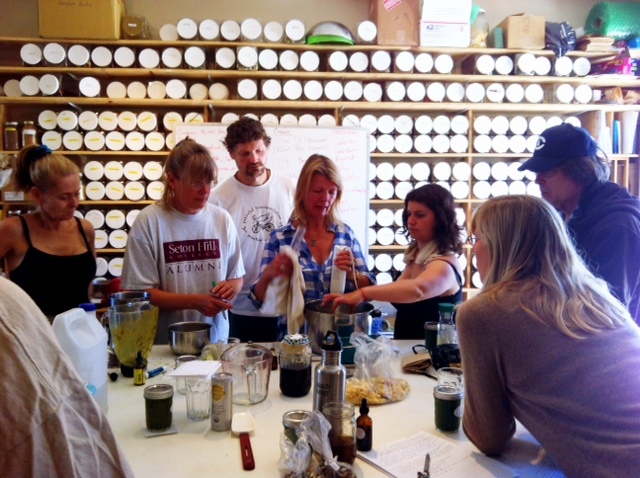 I'll be back in class with Darren Huckle Lac from October teaching our Garden Herbalism course. If you're in the Santa Cruz area, please do join us - all the details are below or contact me or Darren for further details. For thousands of years, people have been harvesting medicines from their home gardens for basic family needs. This is a dynamic and hands-on introduction to the art and practical application of garden herbalism. We will spend over half our time outdoors in an herbal garden where we will harvest common herbs and discuss their uses and cultivation. We will then bring them into the herbal pharmacy classroom and learn how to make effective teas, oils and remedies for commonly encountered health challenges including but not limited to stress, sleeplessness, indigestion, and minor wounds. By effectively preparing and using herbs, we inspire and empower the healer within. This work rejuvenates the senses and steeps us in the wonder of nature's healing powers. Participants will be exposed to an abundance of practical and easily implemented information, and will get the opportunity to bring a sampling of plants into their own home gardens. Darren Huckle, Lac, DAOM is an instructor and practitioner in Western and Chinese Herbal Medicine with 15 years of intensive study in the use of Western Herbs. Paula Grainger BSc, MNIMH is an English Medical Herbalist who has brought her training and knowledge of traditional and modern European Herbal Medicine with her from London to Santa Cruz. Together they have decades of experience and passion in treating patients and teaching the public about natural medicine.